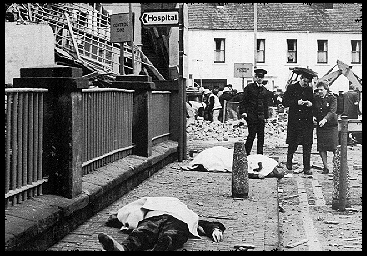 Enniskillen Bombing – 10.43am, 8th November 1987 – Shame on the IRA & those that Supported them! 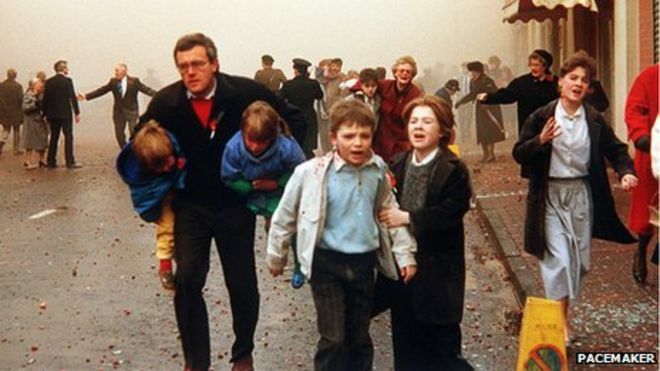 The Remembrance Day bombing (also known as the Enniskillen bombing or Poppy Day massacre) took place on 8 November 1987 in Enniskillen, County Fermanagh, Northern Ireland. A Provisional Irish Republican Army (IRA) bomb exploded near the town’s war memorial (cenotaph) during a Remembrance Sunday ceremony, which was being held to commemorate British military war dead. Eleven people (ten civilians and a police officer) were killed and 63 were injured. The IRA said it had made a mistake and that its target had been the British soldiers parading to the memorial. The unit who carried out the bombing was disbanded.